This is a slightly different ring from the custom ring from the original Design Three from The Classic Twelve. I have thinned out to middle strip and added a small distinctive chamfer around the cutout for a nice modern touch. 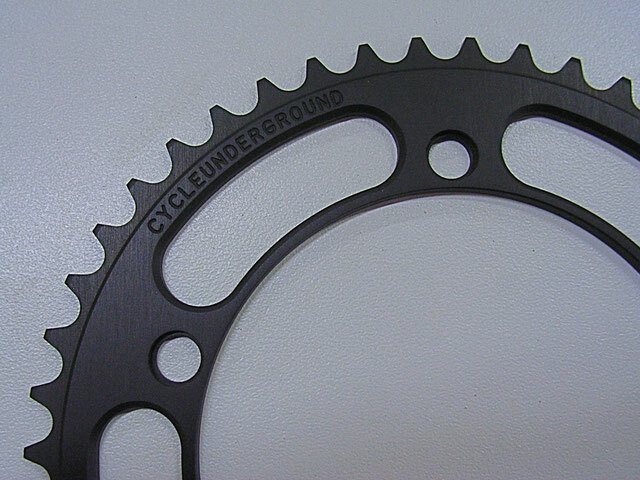 The slight cosmetic changes on the chainrings design works well with newer generation cranks. The design looks minimal and tough. I have this available in 144 BCD and 130 BCD in 1/8 thick tooth.....This Production ring is available in anodised black , Fine Brushed Silver and Polished.